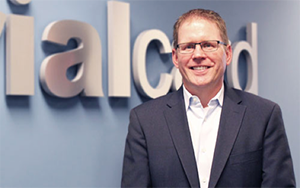 Mark Bouck has served as the President and CEO of TrialCard since 2013. 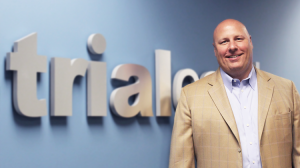 Under Mark’s leadership, TrialCard has diversified its suite of offerings by expanding into the HUB services space, growing its customer experience center to support full-service healthcare interactions from patient support to tele-detailing and tele-promotion, and establishing an industry-leading business intelligence platform that provides pharmaceutical sales and marketing leaders with detailed data and analytics products to drive business decisions. 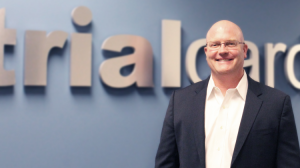 Prior to assuming his current position, Mark served as TrialCard’s Executive Vice President of Business Development, responsible for identifying new opportunities and positioning the organization for growth into new verticals. Mark has also held roles as the Chief Operating Officer of The Goyak Group and Divisional and Regional Vice President with TEK Systems throughout a successful business career spanning over 20 years. Mark holds a B.S. in Business Management and Administration from the University of Mary Washington. He enjoys spending time with his wife, Jennifer, and their three children and has been a youth baseball, basketball, and soccer coach for over 10 years. Mark Bogovich is a seasoned executive with over twenty years of experience in the healthcare services industry. He leads the overall financial strategy for TrialCard. Prior to joining TrialCard in 2015, Mr. Bogovich held Chief Financial Officer positions at PhyMed Healthcare Group, a physician-led and owned leader of anesthesia and pain management services in three states, and ATI Physical Therapy, a leading provider of outpatient physical therapy clinics within five states. Mr. Bogovich has held various senior level finance and accounting roles at both publicly traded and private companies, including RehabCare Group, Inc., Miller Orthopedic Clinic, Inc. and Horizon / CMS Healthcare Corporation. Mr. Bogovich received his B.S.B.A. in accounting from Shippensburg University. As Chief Compliance Officer & General Counsel, Michele is responsible for building and maintaining a best-in-class compliance program. 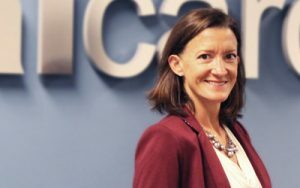 Joining TrialCard in 2015, Michele brings over 15 years of legal experience in the healthcare industry, having previously held roles as Director of Compliance with LipoScience, Senior Corporate Counsel and North American Privacy Officer for Quintiles, and Senior Corporate Counsel and Privacy Officer with Allscripts. Atchison is a Certified Information Privacy Professional for US Laws and holds undergraduate degrees in Business Management and History from the University of North Carolina at Charlotte and a law degree from the University of Memphis. A North Carolina native, Michele currently resides in Clayton with her husband, Alex, and two very busy children. When she is not attending one of her children’s various activities, she can usually be found on the tennis court. Stan Kurpiel joined our TrialCard team in April of 2013 and is responsible for all aspects of TrialCard’s technical landscape, including IT and Operations (Product Solutions Group, Reporting and Analytics, Service Operations, Business Service Center, Implementation, and Ongoing Support). Stan has demonstrated a career-long commitment to nurturing talent and strives to build teams that work seamlessly with the business. He brings over 25 years of experience in leading diverse, global IT teams along with wide business acumen across various industries. Included in his experience are many successful implementations of Global ERP solutions along with deep experience in M&As in relation to IT and Business Integration. 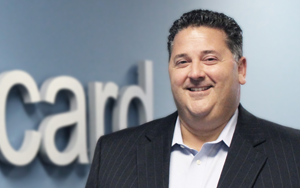 Prior to joining TrialCard, Stan was Vice President/CIO for Pergo LLC for 14 years and also held a number of Senior IT executive-level positions within the IT consulting, Manufacturing, and Medical Distribution industries. Stan has a B.S. in Business Administration with a concentration in Business Computers from Clarion University in Pennsylvania. A resident of Wake Forest, Stan is fully involved in the lives of his three grown children. When not building teams and systems, Stan extends his building expertise to projects outside the office. After Hurricane Sandy, Stan rebuilt and restored his home on the Outer Banks of North Carolina. He reconstructed it as a dedicated retreat where friends and family can gather for rest and relaxation! Joe Abdalla leads the strategic, business development, and client services efforts for the TC Market Access Division. 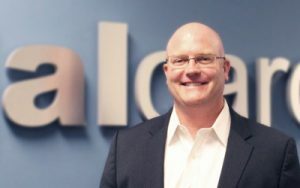 Joe’s passion for market access comes from his vast experience in the pharmaceutical and healthcare industries, where he has held a variety of sales, marketing and executive leadership positions with a concentrated focus on commercial, P&L management, M&A activities, and overall general management. During his distinguished career Joe has held executive management roles with United BioSourceCorporation (UBC), HealthStarCommunications, and GlaxoSmithKline (GSK), and his background as a licensed healthcare professional. A registered pharmacist and member of the UNC School of Pharmacy Board of Visitors, Joe holds a B.S. in Pharmacy from the University of North Carolina at Chapel Hill and an MBA from Campbell University. In his free moments, Joe enjoys spending time with his wife, Sonya, and their three boys. Mark Droke is responsible for overseeing sales, marketing, and business development activities to further drive TrialCard’s solutions in the Patient Affordability, Market Access, and Healthcare Professional Engagement spaces. Mark has a strong background in leading successful pharmaceutical sales organizations, having held various roles of increasing responsibility in marketing, training, and leadership experience with Valeant Pharmaceuticals, Salix Pharmaceuticals, and Janssen and Johnson & Johnson during his career. Mark’s personal pharmaceutical industry experience drives his insight into the needs of TrialCard clients and the value of TrialCard solutions. Mark holds a Bachelor of Science in General Studies and a minor in Political Science from East Tennessee State University. 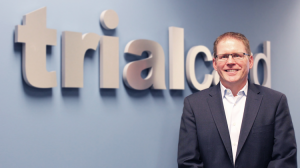 Scott Dulitz is responsible for leading a team of Subject Matter Experts focused on innovation and product development as well as developing and executing the strategy around TrialCard’s service offerings. Scott partners with an internal cross-functional team of IT, operations, client services, and marketing personnel to develop best-in-class patient support programs for TrialCard’s biopharmaceutical clients. Before joining TrialCard in 2015, Scott worked for TaihoOncology as Director of Market Access Programs and Professional Relations. There, he led the strategic design and implementation of a limited specialty pharmacy network and patient support program for an oral oncology product. Scott has also held senior leadership positions in operations, product development, IT, and business development with United BioSourceCorporation (UBC), an Express Scripts company, and AccessMED, a McKesson Specialty and U.S. Oncology company. While at UBC and AccessMEDScott developed and managed several innovative, highly visible patient support programs for specialty drugs spanning a variety of therapeutic areas to include oncology / hematology, rheumatology, gastroenterology, immunology, nephrology, neurology, pulmonology, endocrinology, transplant, radiopharmaceuticals, and mental health. Scott holds a Bachelor of Business Administration in Management Information Systems from Iowa State University and an MBA with an emphasis in finance from the University of Kansas. He enjoys spending his leisure time with his wife, Lisa, and their two kids. 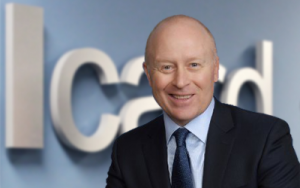 Tim has executive responsibility for the overall management of TrialCard’s strategic accounts. His department manages all aspects of client services, business development, and operation for TrialCard’s largest and most complex accounts. Tim has been with TrialCard for seven years in both sales and client services leadership capacities. 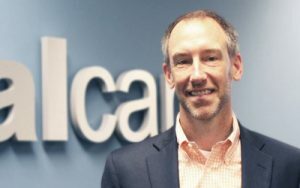 Tim joined TrialCard in August of 2010 after spending nearly 20 years in the business intelligence, data analytics, and data management technology industry. He held business development positions at leading technology companies including Informatica and SAS. Tim received his undergraduate degree from the University of Missouri and is working toward completion of his MBA from North Carolina State University. He and his wife, Kendall, live in Cary with their two daughters. In addition to his passion for family and the work TrialCard does for their customers, Tim is an avid trail runner and mountain biker. 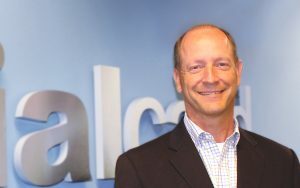 John Boney has executive responsibility for TrialCard’s Customer Experience Center as well as all corporate recruiting efforts. John came to TrialCard in 2015 after more than 20 years with Allegis Group, where he held leadership positions in Operations, Sales, Marketing, Strategy Development, and Change Management. John’s primary areas of focus are driving efficiencies across the wide range of functional areas employed in the operation of TrialCard’s tele-detail and tele-promotion programs, and working in conjunction with other department leaders to determine the proper candidate profiles and develop talent acquisition strategies that will further position TrialCard as an employer of choice for top-performers. John is a graduate of Loyola University of Maryland, where he was a four-year scholarship basketball player. He and his wife Cathy live in North Raleigh and three children. John is a board member of the Wake County Basketball association and has been a youth basketball coach for over 10 years. 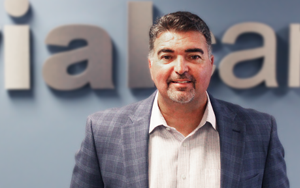 Joe Stallings joined TrialCard as SVP of Professional Development and Talent Acquisition in May of 2018. With over 25 years of experience in the Human Capital Management field, Joe brings the high level of expertise and energy necessary to meet the demands of a growing organization. 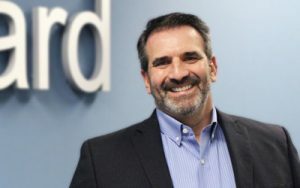 Prior to joining Trialcard, Joe held executive-level roles throughout his 15-year career in staff augmentation and organization development for one of the largest privately held staffing companies in the country. He developed leadership and core function training programs that supported exponential growth. Joe also served as COO of an IT solutions company for 12 years where he established a staffing division that supported internal and external clients. Joe holds a B.A. in Mathematics and Computer Science from Washington College in Chestertown, MD. Aimee currently serves as the Vice President of Human Resources at TrialCard. 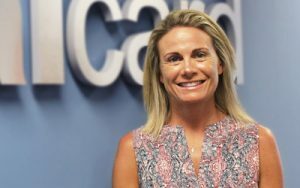 Aimee joined TrialCard in 2008 as the company’s first HR Generalist when she took on the responsibility of creating the role and function of the HR department. Over the last six years, Aimee’s list of accomplishments includes supporting the growth of the company from 70 to 243 employees, developing a company-wide employee review process, implementing a new incentive program, and managing and administering all aspects of the company benefits program, to name only a few. TrialCard’s employees are Aimee’s clients. She keeps them in the forefront of her mind with every decision that is made. It’s critical to her to always balance the needs of the company with the needs of the employees. Prior to joining TrialCard, Aimee served as HR Assistant and HR Generalist during her 9 years at Charles and Colvard, Ltd.
Aimee has a degree in Industrial Relations from the University of North Carolina at Chapel Hill and a Senior Professional in Human Resources (SPHR) certification. Aimee and her husband, Brian, have been married for 15 years and have 3 sons. Together, Aimee and her family are active supporters of local animal rescue foundations. In her spare time, she is an avid runner.